Congratulations are underway for the members of the sacrament class at Christ the King H.S., Middle Village. 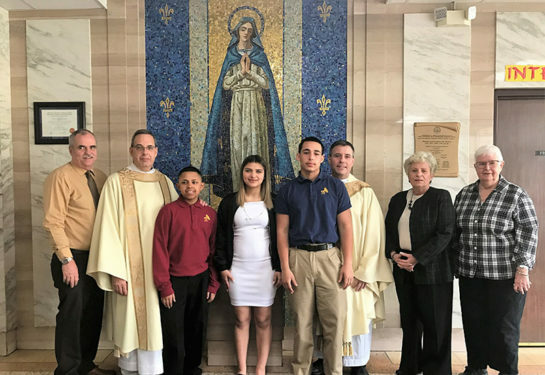 Richard Echevarria, Tatiana Villa and David Lopez received their First Communion. The Mass was celebrated by school chaplain Father Frank Spacek. Assisting on the altar was Deacon Paul Norman.